The LRA ListServ is one of the great benefits of membership allowing LRA members to network, collaborate, and to share best practices in the field. How to subscribe/ unsubscribe from the LRA ListServ? 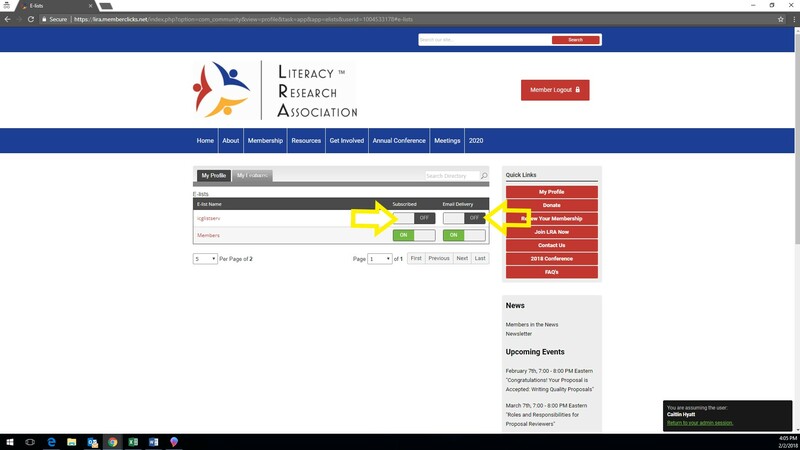 You can unsubscribe or rejoin the LRA ListServ right on the LRA Website. 1. 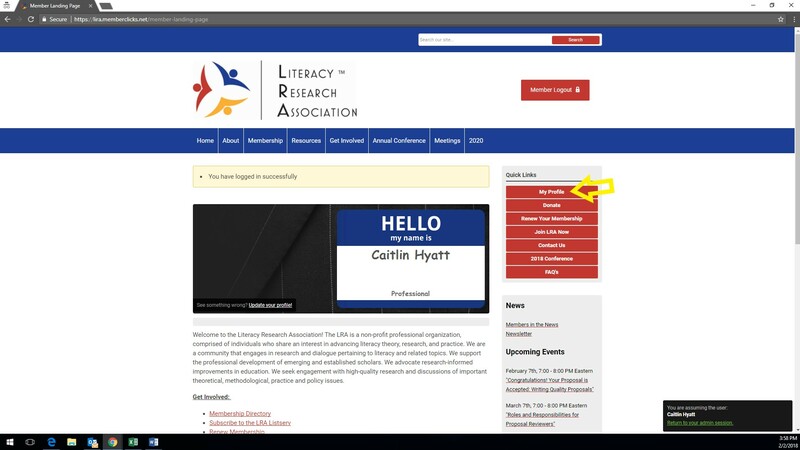 Visit "literacyresearchassociation.org" and log-in. 2. Click the red My Profile Tab > Hover over My Features > Select E-Lists > Toggle the Subscribe Buttons to the On Position. 3. To unsubscribe, follow the previous steps, then Toggle the Subscribe Buttons to the Off Position. There are (2) listserv options available. The first is the LRA "members" Listserv. The second is the ICGlistserv. Simply email "[email protected]" or "[email protected]" and your email will be distributed to all participants within that ListServ, it's that simple! In order to limit Listserv email overload for readers, please reply to individuals rather than the full list. You have the option of replying to the entire ListServ or to the individual sender responsible for sending out the ListServ. If you would like to reply to the individual sender, simply click "reply" and the message will be sent to the individual sender. A: If you want to reply to the individual sender, simply press reply. If you would like to reply to the entire ListServ you will need to direct the message to "[email protected]" or "[email protected]." Q: Why am I unable to post to the Listserv? A: There are many reasons that you could be experiencing this issue. (1) The e-mail address you are using, is not the e-mail that is linked to your LRA account. (2) Your Listserv settings are disabled. Information on how to turn these settings on, is listed at the top of the page. (3). Your membership has lapsed, or you are not a current LRA member. 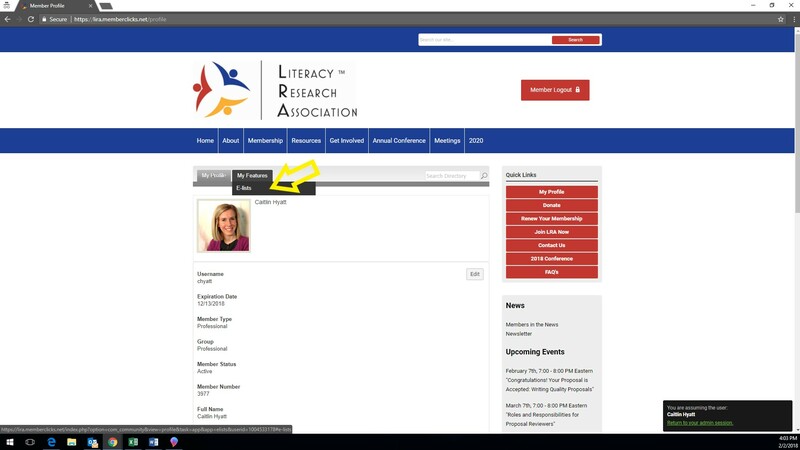 If you are not a member, please visit the Membership tab and select Join LRA. This page will provide you with a vast amount of information, regarding the benefits of joining LRA. If your membership has lapsed, please log into your account and select Renew Your Membership. Q: Is the ListServ moderated? A: Yes. Members of the LRA Staff are sent copies of each requested post to the ListServ. If the message doesn't contain offensive or potentially damaging content, the message is approved.